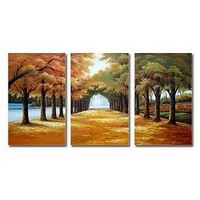 Romantic straße with Seawater Oil Painting. . Images in the Fine Art club.